Research using machine learning and artificial intelligence — tools that allow computers to learn about and predict outcomes from massive datasets — has been booming at the University of Michigan. The potential societal benefits being explored on campus are numerous, from on-demand transportation systems to self-driving vehicles to individualized medical treatments to improved battery capabilities. The ability of computers and machines generally to learn from their environments is having transformative effects on a host of industries — including finance, healthcare, manufacturing, and transportation — and could have an economic impact of $15 trillion globally according to one estimate. But as these methods become more accurate and refined, and as the datasets needed become bigger and bigger, keeping up with the latest developments and identifying and securing the necessary resources — whether that means computing power, data storage services, or software development — can be complicated and time-consuming. And that’s not to mention complying with privacy regulations when medical data is involved. Johnson-Roberson’s research is focused on getting computers and robots to better recognize and adapt to the world, whether in driverless cars or deep-sea mapping robots. “The goal in general is to enable robots to operate in more challenging environments with high levels of reliability,” he said. Johnson-Roberson said that U-M has many of the crucial ingredients for success in this area — a deep pool of talented researchers across many disciplines ready to collaborate, flexible and personalized support, and the availability of computing resources that can handle storing the large datasets and heavy computing load necessary for machine learning. Yuekai Sun, an assistant professor in the Statistics Department, develops algorithms and other computational tools to help researchers analyze large datasets, for example, in natural language processing. He agreed that being able to work with scientists from many different disciplines is crucial to his research. Sun is also working on analyzing the potential discriminatory effects of algorithms used in decisions like whether to give someone a loan or to grant prisoners parole. Jason Mars, an assistant professor in the Electrical Engineering and Computer Science department and co-founder of a successful spinoff called Clinc, is applying artificial intelligence to driverless car technology and a mobile banking app that has been adopted by several large financial institutions. The app, called Finie, provides a much more conversational interface between users and their financial information than other apps in the field. “There is going to be an expansion of the number of problems solved and number of contributions that are AI-based,” Mars said. He predicted that more researchers at U-M will begin exploring AI and ML as they understand the potential. “It’s going to require having the right partner, the right experts, the right infrastructure, and the best practices of how to use them,” he said. He added that U-M does a “phenomenal job” in supporting researchers conducting AI and ML research. Advanced Research Computing at U-M, in part through resources from the university-wide Data Science Initiative, provides computing infrastructure, consulting expertise, and support for interdisciplinary research projects to help scientists conducting artificial intelligence and machine learning research. For example, Consulting for Statistics, Computing and Analytics Research, an ARC unit, has several consultants on staff with expertise in machine learning and predictive analysis with large, complex, and heterogeneous data. CSCAR recently expanded capacity to support very large-scale machine learning using tools such as Google’s TensorFlow. CSCAR consultants are available by appointment or on a drop-in basis, free of charge. See cscar.research.umich.edu or email cscar@umich.edu for more information. 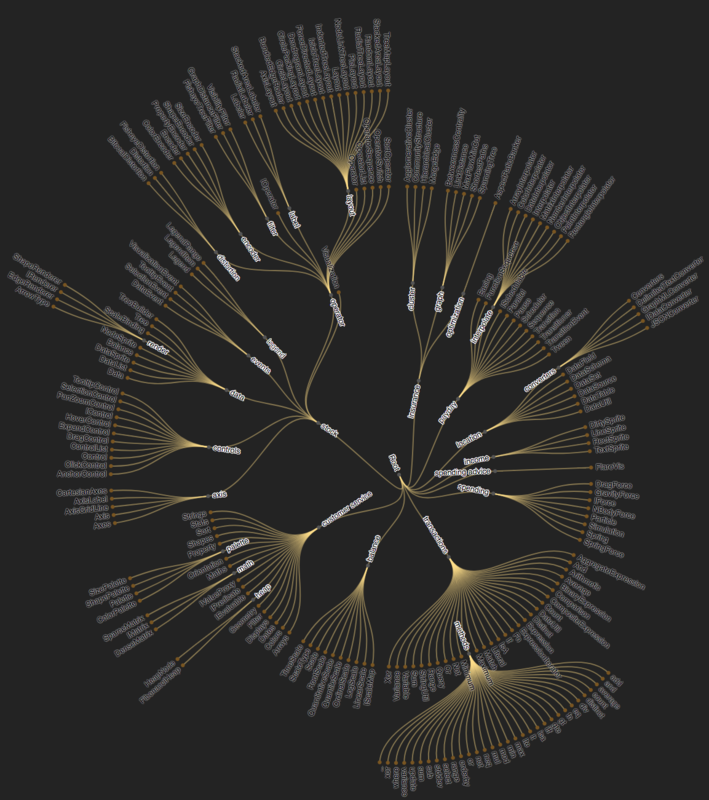 The computing resources available to machine learning and artificial intelligence researchers are significant and diverse. Along with the campus-wide high performance computing cluster known as Flux, the recently announced Big Data cluster Cavium ThunderX will give researchers a powerful new platform for hosting artificial intelligence and machine learning work. Both clusters are provided by Advanced Research Computing – Technology Services (ARC-TS). All allocations on ARC-TS clusters include access to software packages that support AI/ML research, including TensorFlow, Torch, and Spark ML, among others. ARC-TS also operates the Yottabyte Research Cloud (YBRC), a customizable computing platform that recently gained the capacity to host and analyze data governed by the HIPAA federal privacy law. Also, the Michigan Institute for Data Science (MIDAS) (also a unit of ARC) has supported several AI/ML projects through its Challenge Initiative program, which has awarded more than $10 million in research support since 2015. For example, the Analytics for Learners as People project is using sensor-based machine learning tools to translate data on academic performance, social media, and survey data into attributes that will form student profiles. Those profiles will help link academic performance and mental health with the personal attributes of students, including values, beliefs, interests, behaviors, background, and emotional state. Another example is the Reinventing Public Urban Transportation and Mobility project, which is using predictive models based on machine learning to develop on-demand, multi-modal transportation systems for urban areas. In addition, MIDAS supports student groups involved in this type of research such as the Michigan Student Artificial Intelligence Lab (MSAIL) and the Michigan Data Science Team (MDST). The forum featured U-M students and faculty showcasing their data science research; a workshop on how to work with industry; presentations from student groups; and a summary of the data science consulting and infrastructure services available to the U-M research community. NOTE: The keynote presentation from Christopher Rozell of the Georgia Institute of Technology will be available in the near future. For babies born with hypoplastic left heart syndrome, several open-heart surgeries are required. During Stage I, a Norwood procedure is performed to construct an appropriate circulation to both the systemic and the pulmonary arteries. The pulmonary arteries receive flow from the systemic circulation, often by using a Blalock-Taussig (BT) shunt between the innominate artery and the right pulmonary artery. This procedure causes significantly disturbed flow in the pulmonary arteries. A group of researchers led by U-M Drs. Ronald Grifka and Alberto Figueroa used computational hemodynamic simulations to demonstrate its capacity for examining the properties of the flow through and near the BT shunt. Initially, the researchers constructed a computational model which produces blood flow and pressure measurements matching the clinical magnetic resonance imaging (MRI) and catheterization data. Achieving this required us to determine the level of BT shunt occlusion; because the occlusion is below the MRI resolution, this information is difficult to recover without the aid of computational simulations. The researchers determined that the shunt had undergone an effective diameter reduction of 22% since the time of surgery. Using the resulting geometric model, they showed that we can computationally reproduce the clinical data. The researchers then replaced the BT shunt by with a hypothetical alternative shunt design with a flare at the distal end. 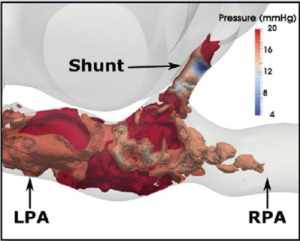 Investigation of the impact of the shunt design revealed that the flare can increase pulmonary pressure by as much as 7%, and flow by as much as 9% in the main pulmonary branches, which may be beneficial to the pulmonary circulation. Read more in Frontiers in Pediatrics. The Michigan Institute for Computational Discovery and Engineering has awarded its first round of Catalyst Grants, providing $75,000 each to four innovative projects in computational science. The proposals were judged on novelty, likelihood of success, potential for external funding, and potential to leverage ARC’s existing computing resources. Description: The aim of the research is to develop models as well as analysis tools to understand network-wide spatio-temporal patterning underlying experimentally observed neural spiking activity. The research team has developed novel tools to analyze dynamics of neuronal representations across time, before during and after learning. These tools, for the first time, compare the stability of network dynamics before and after memory encoding. Description: This project expands the application of numerical methods in which the differential equation is first converted into an integral equation by convolution with the Green’s function, followed by discretization and linear solution. Recent advances in numerical analysis and computing resources make this expansion possible, and the research team believes that integral equation-based numerical methods are superior to traditional methods in both serial and parallel computations. The project will attempt to apply these numerical methods to studies of viscous fluid flow, protein/solvent electrostatics, and electronic structure. Description: The research team aims to develop new algorithms for the U.S. electrical power grid that integrate renewable energy sources, electrification of transportation systems, the increasing frequency of extreme weather events, and other emerging contingencies. Researchers: Venkat Raman, Aerospace Engineering; Jacqueline Chen, Sandia National Laboratory; and Ramanan Sankaran, Oak Ridge National Laboratory. Description: The purpose of the project is to develop the computational frameworks for exploring the tails of distributions, which lead to rare but consequential (and often catastrophic) outcomes. Two such rare events are “Black Swans” (occurring from pre-existing but unencountered events) and “Dragon Kings (occurring due to an external shock to the system). The methods developed are expected to have application in aerospace sciences, power generation and utilization, chemical processing, weather prediction, computational chemistry, and other fields. Another round of Catalyst Grants will be awarded next year. The project is part of a four-year, $35 million investment with research entities, universities and companies on research that uses artificial intelligence to help accelerate the design and discovery of advanced materials, TRI has announced. Initially, the program will aim to help revolutionize materials science and identify new advanced battery materials and fuel cell catalysts that can power future zero-emissions and carbon-neutral vehicles. “Toyota recognizes that artificial intelligence is a vital basic technology that can be leveraged across a range of industries, and we are proud to use it to expand the boundaries of materials science,” said Eric Krotkov, TRI chief science officer. The project, under the auspices of the Michigan Institute for Computational Discovery and Engineering at U-M, will combine mathematical models of the atomic nature and physics of materials with artificial intelligence. “At the University of Michigan, we look forward to collaborating with TRI to advance computational materials science using machine learning principles,” said principal investigator Krishna Garikipati, professor of mechanical engineering and mathematics. Also involved from U-M are Vikram Gavini, associate professor of mechanical engineering and materials science and engineering, and Karthik Duraisamy, assistant professor of aerospace engineering. “The timing and goals of this program are well-aligned with the paradigm of data-enabled science that we have been promoting via the Michigan Institute for Computational Discovery and Engineering, and the Center for Data-Driven Computational Physics,” Duraisamy said. The U-M project will use the ConFlux cluster, an innovative, new computing platform that enables computational simulations to interface with large datasets. In addition to U-M, TRI’s newly funded research projects include collaborations with Stanford University, the Massachusetts Institute of Technology, University at Buffalo, University of Connecticut and the U.K.-based materials science company Ilika. TRI is also in ongoing discussions with additional research partners. Research will merge advanced computational materials modeling, new sources of experimental data, machine learning and artificial intelligence in an effort to reduce the time scale for new materials development from a period that has historically been measured in decades. Research programs will follow parallel paths, working to identify new materials for use in future energy systems as well as to develop tools and processes that can accelerate the design and development of new materials more broadly, according to TRI. The development of new models and materials for batteries and fuel cells. Broader programs to pursue novel uses of machine learning, artificial intelligence and materials informatics approaches for the design and development of new materials. New automated materials discovery systems that integrate simulation, machine learning, artificial intelligence or robotics. The U-M researcher is Sharon C. Glotzer, the John W. Cahn Distinguished University Professor of Engineering and the Stuart W. Churchill Collegiate Professor of Chemical Engineering. The work is published in the March 3 issue of Science. ARC’s computational resources supported the work. 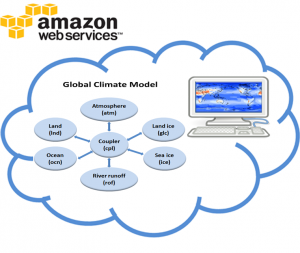 Can cloud computing systems help make climate models easier to run? Assistant research scientist Xiuhong Chen and MICDE affiliated faculty Xianglei Huang, from Climate and Space Sciences and Engineering (CLASP), provide some answers to this question in an upcoming issue of Computers & Geoscience (Vol. 98, Jan. 2017, online publication link: http://dx.doi.org/10.1016/j.cageo.2016.09.014). Teaming up with co-authors Dr. Chaoyi Jiao and Prof. Mark Flanner, also in CLASP, as well as Brock Palen and Todd Raeker from U-M’s Advanced Research Computing – Technology Services (ARC-TS), they compared the reliability and efficiency of Amazon’s Web Service – Elastic Compute 2 (AWS EC2) with U-M’s Flux high performance computing (HPC) cluster in running the Community Earth System Model (CESM), a flagship climate model in the U.S. developed by the National Center for Atmospheric Research. The team was able to run the CESM in parallel on an AWS EC2 virtual cluster with minimal packaging and code compiling effort, finding that the AWS EC2 can render a parallelization efficiency comparable to Flux, the U-M HPC cluster, when using up to 64 cores. When using more than 64 cores, the communication time between virtual EC2 exceeded the distributed computing time. Until now, climate and earth systems simulations had relied on numerical model suites that run on thousands of dedicated HPC cores for hours, days or weeks, depending on the size and scale of each model. Although these HPC resources have the advantage of being supported and maintained by trained IT support staff, making them easier to use them, they are expensive and not readily available to every investigator that needs them. Furthermore, the systems within reach are sometimes not large enough to run simulations at the desired scales. Commercial cloud systems, on the other hand, are cheaper and accessible to everyone, and have grown significantly in the last few years. One potential drawback of cloud systems is that the user needs to provide and install all the software and the IT expertise needed to run the simulations’ packages. Chen and Huang’s work represents an important first step in the use of cloud computing in large-scale climate simulations. Now, cloud computing systems can be considered a viable alternate option to traditional HPC clusters for computational research, potentially allowing researchers to leverage the computational power offered by a cloud environment. This study was sponsored by the Amazon Climate Initiative through a grant awarded to Prof. Huang. 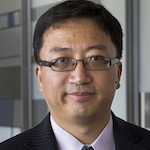 The local simulation in U-M was made possible by a DoE grant awarded to Prof. Huang.